Somewhat of an office legend, Virginia ‘Ginny’ Bahr has been working at JWT for over 65 years and is our longest-serving employee. On December 17, 1951, having just finished business school, Ginny began her first day of work as a secretary, typing correspondences for an executive in the PR department. Since then, the beloved Ginny has worked in almost every department and on accounts like Pan Am and Shell. This year, not long after Ginny’s 65th work anniversary, JWT New York recognized Ginny’s decades of service in the industry with the inaugural Raising the Bahr Scholarship award. 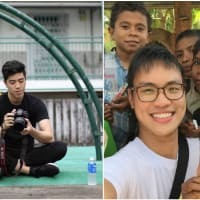 Launched in partnership with the 4A’s, the scholarship recognizes one graduating high school student who demonstrates dedication to the field of advertising and who hopes to pursue a career in the field after graduation. 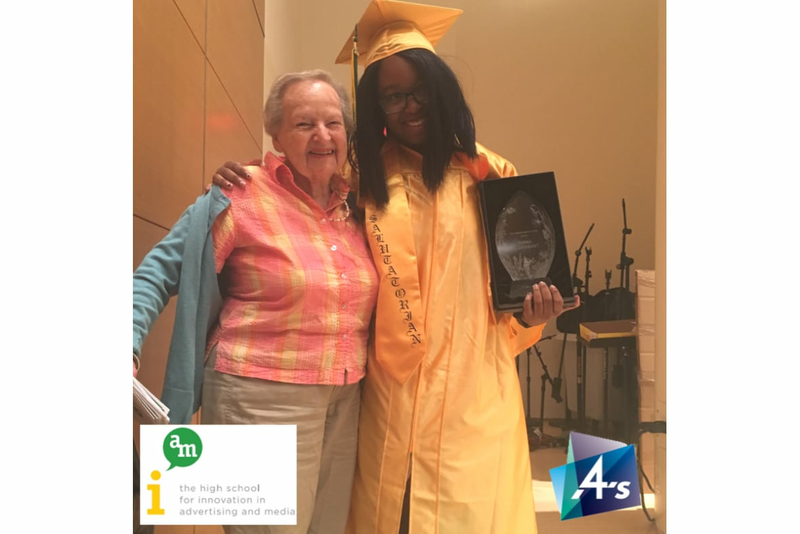 During the commencement ceremony at Brooklyn's High School for Innovation in Advertising in Media (IAM), the first-ever Raising the Bahr award was presented to Diana Florissant, a recent graduate of IAM. Diana was presented with a trophy (pictured below) designed by JWT New York's Michelle Unger. 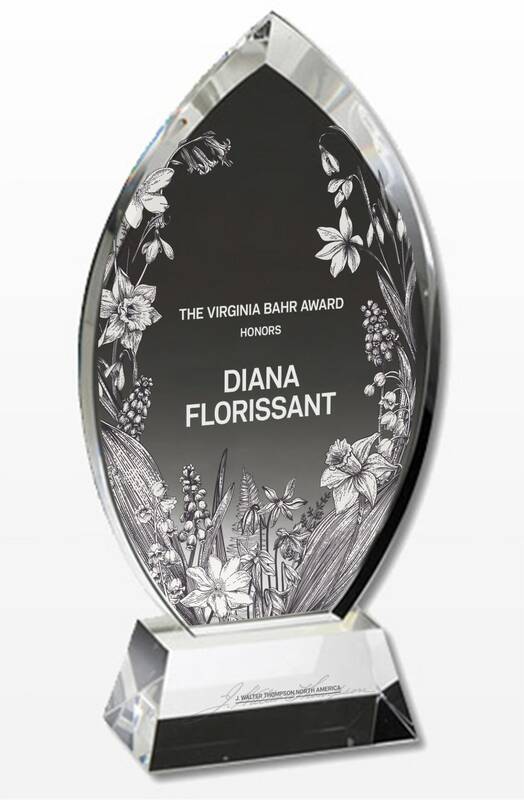 The trophy's design was inspired by Ginny's passion for gardening and signifies the growth that lies ahead for Diana. 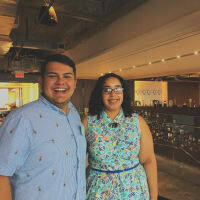 The scholarship award will go towards her first semester at Parsons School of Design in the fall and she will receive an additional two years of scholarship support. In addition to scholarship funds, Diana was invited to shadow a JWT employee and to participate in next year’s Young Commodores program.